How it's made? Is it a deadly catch? Which myths are true and which myths are busted? Who wins the epic battle of man vs. wild? Exactly how dirty are the dirtiest jobs? Can a storm be chased? 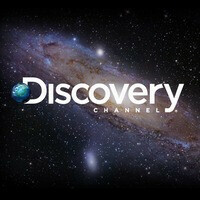 Well, as long as you download the newly released Discovery Channel application for your BlackBerry 10 device, you will be able to find the answers to these questions by watching the respective shows. On top of that, it's free! In order for you not to miss your favorite shows a schedule is included. Behind-the-scenes content is also available, as well as custom-curated playlists. Here comes the tricky part though: the app is accessible solely in the United States, which is a shame, considering how popular the channel is. However, we believe that it is just a matter of time before Discovery makes the app available worldwide. Is it a native app? That is the question. Article in the source says its a native app.